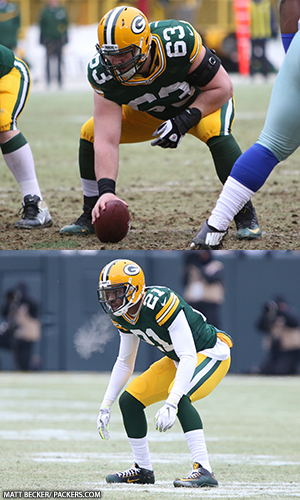 GREEN BAY — Packers draft picks Corey Linsley and Ha Ha Clinton-Dix were named to the Pro Football Writers of America All-Rookie team. Linsley, a center, was a fifth-round draft choice out of Ohio State, while Clinton-Dix, a safety, was a first-round pick from Alabama. The St. Louis Rams led the way with three All-Rookie selections, including DT Aaron Donald, who was named PFWA’s Defensive Rookie of the Year. Giants WR Odell Beckham Jr. was named both Rookie of the Year and Offensive Rookie of the Year. Other NFC North selections included Minnesota QB Teddy Bridgewater on offense, Chicago CB Kyle Fuller on defense and Chicago P Pat O’Donnell on special teams.